Karen…the lady I was Couchsurfing with…recommended visiting the Grove Park Inn. I’m glad I did! It reminds me of one that I saw at Glacier National Park in Montana. 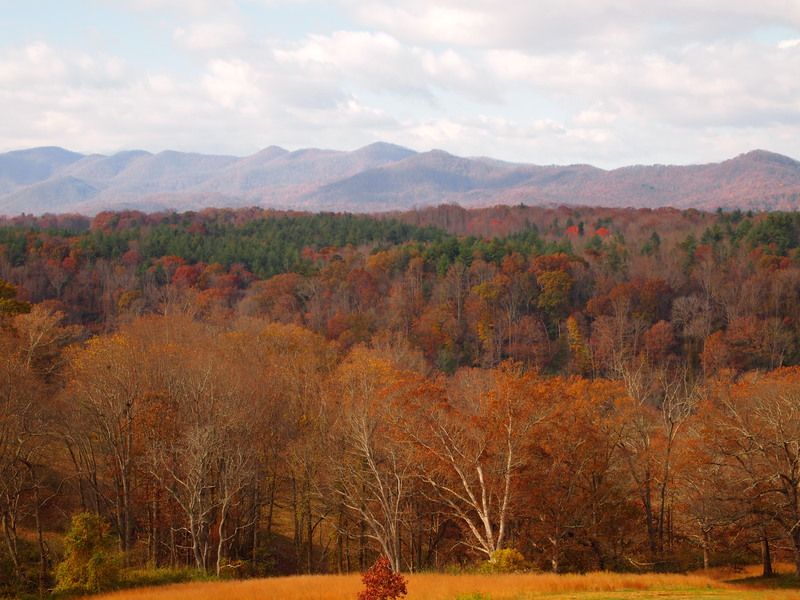 The views from the back were swept with beauty! 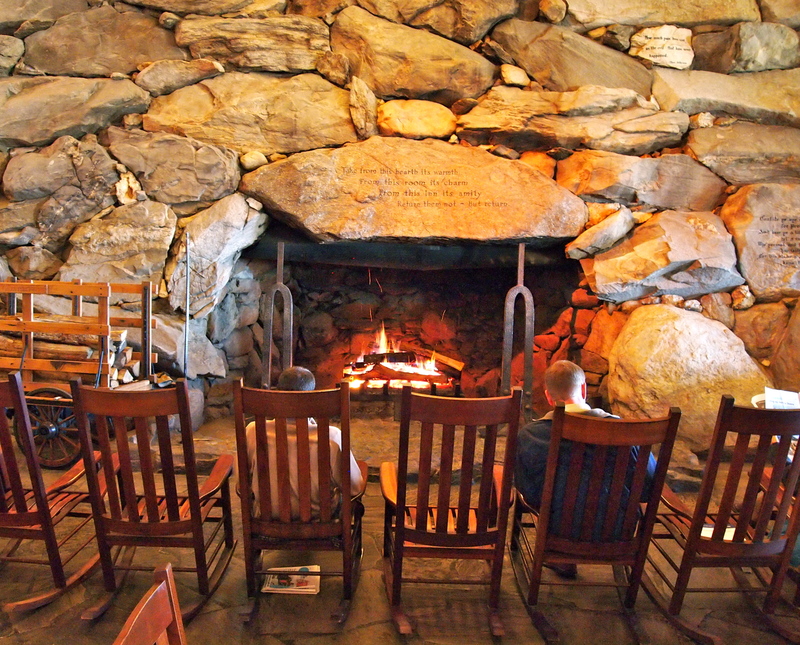 I stood by the stone fireplace to warm my hands. You could fit a few people in there! I saved the best for last…my “artsy” photo! I went down to their spa thinking I may get a massage…wrong…$190! Meet me in Charleston tomorrow! 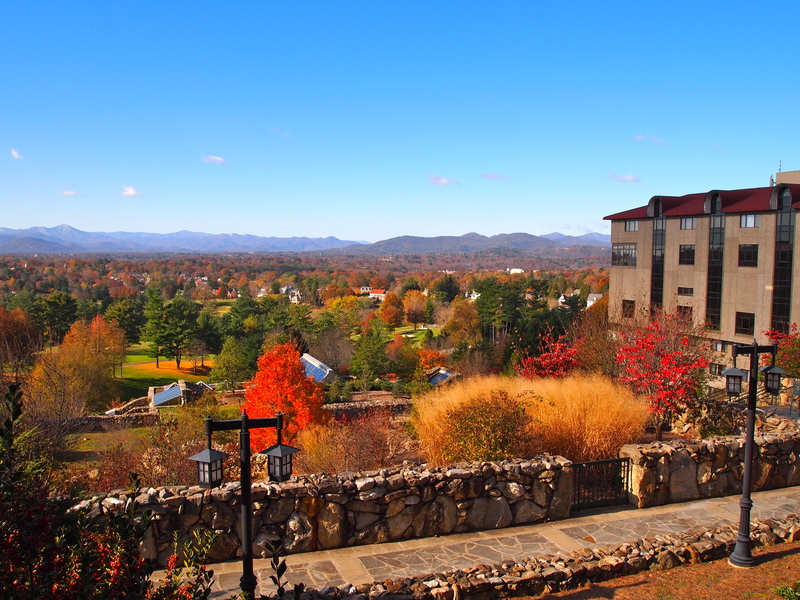 Asheville, N.C. has it all! Amazing art, architecture, scenery, four seasons (but winter’s not too long), and friendly people! 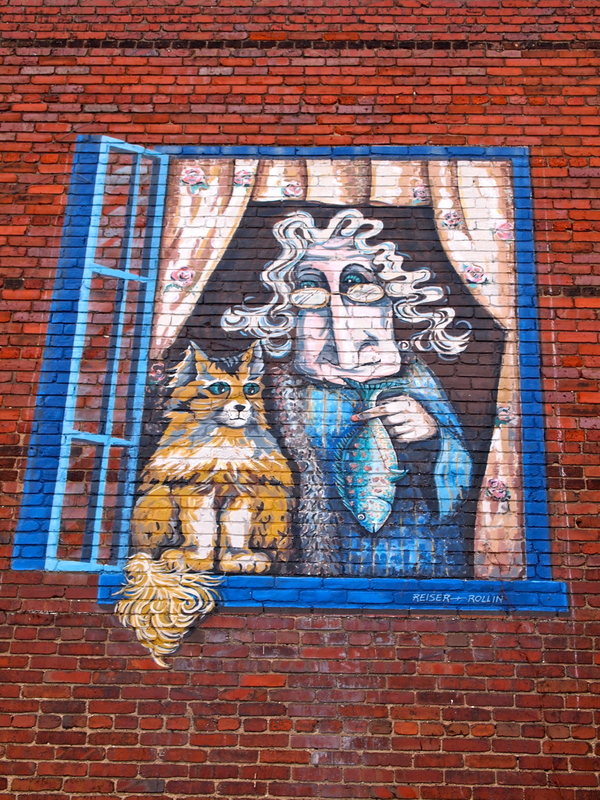 A couple of days ago, I took a walking tour of downtown and posted about the street art. Now…I’d like to highlight some of the architecture. 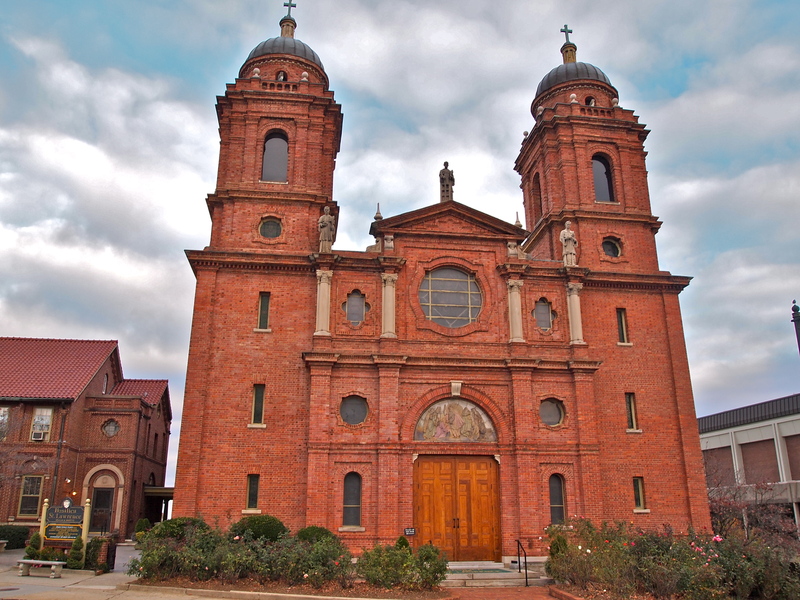 The Basilica of St. Lawrence has the largest elliptical freestanding dome in North America, unsupported by wood or steel. An ancient Moorish technique was used to build it! After photographing it, I crossed the street and a homeless guy said, “If you haven’t been inside you should go…it’s beautiful!”, so I went and he was right. Plus…it gave me time to warm up and say a prayer! I don’t always need to know the name of something to like it! The center structure is the Vance Monument and stands tall as a symbol of tolerance! The history behind this is truly remarkable and interesting…but lengthy…so if you’d like to read about it…here is an article! The City Building has a pink roof…how cool is that? You can’t tell from the photo…but this is like an amphitheater…there’s seating! 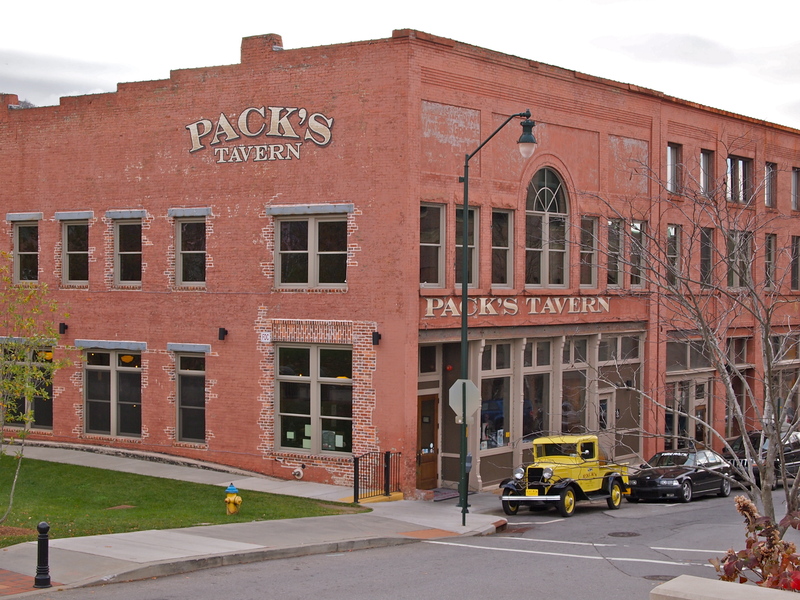 I wasn’t able to visit Pack’s Tavern…but I’m sure it’s a favorite of the locals! 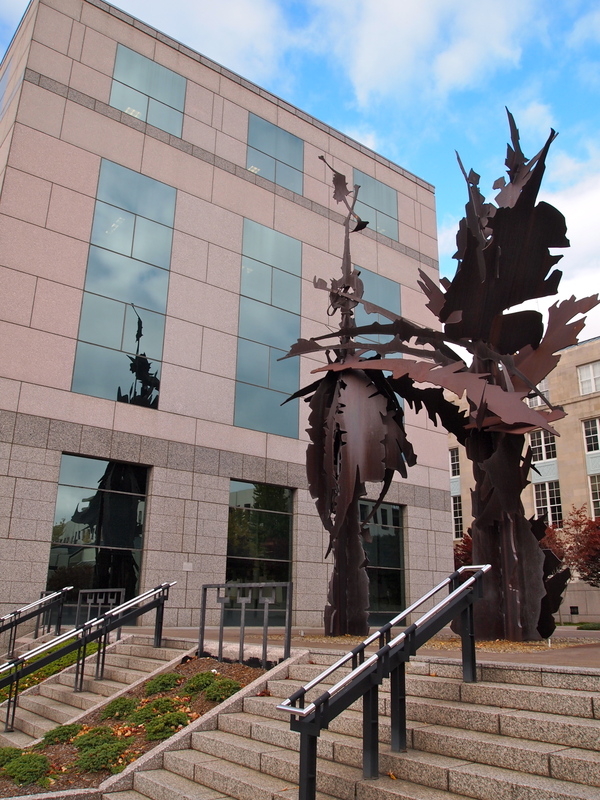 The Asheville Art Museum looks very “artsy”! This building says…I can touch the sky! I wasn’t planning on going into the Grove Arcade…but I needed a restroom. 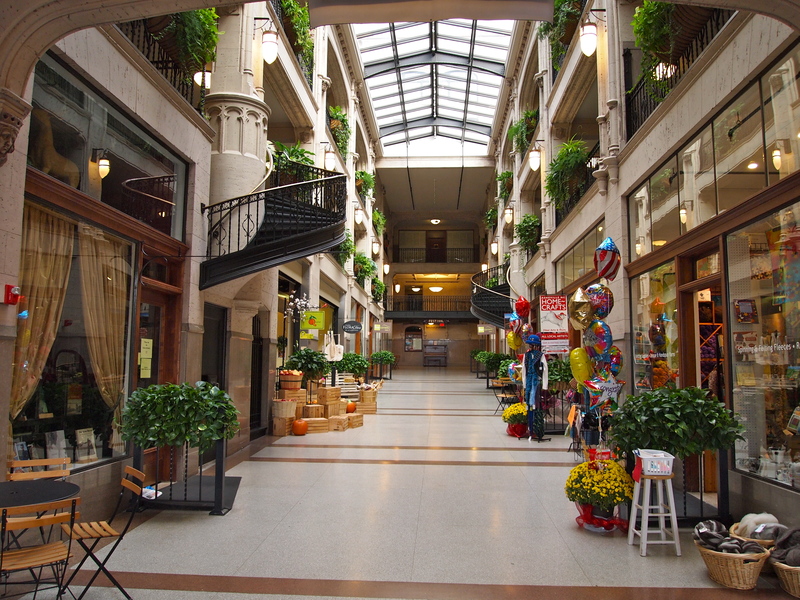 I’m glad I did…multi-level…lots of quaint shops! I spent a couple of days here and really enjoyed exploring the Town! 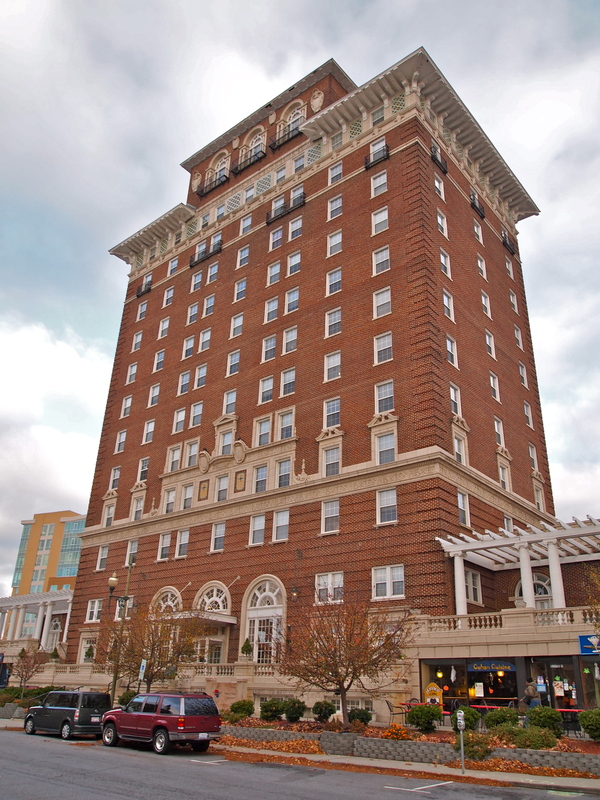 Tomorrow we’ll take a quick look at the historic Grove Park Inn! 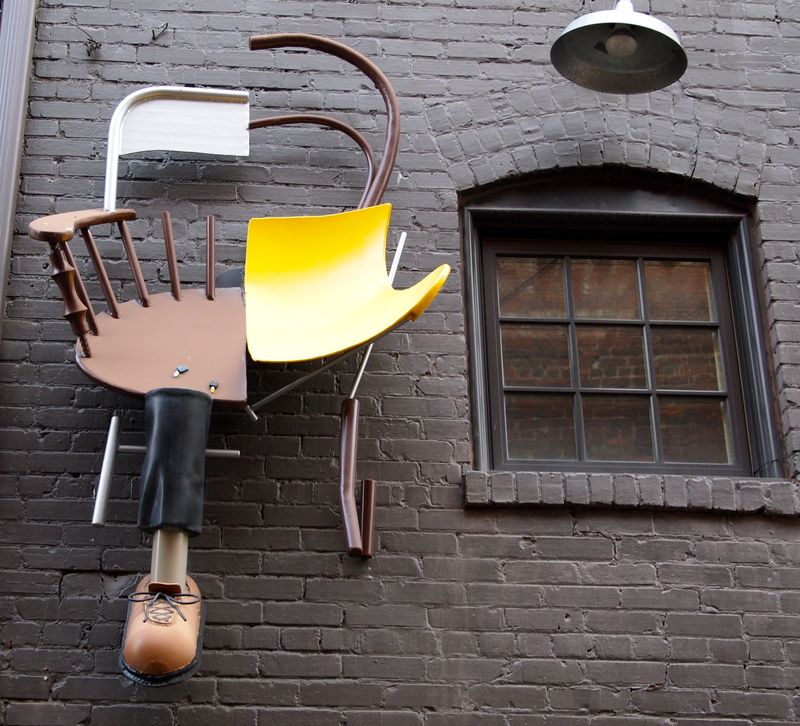 Asheville, North Carolina has some fun and funky street art! 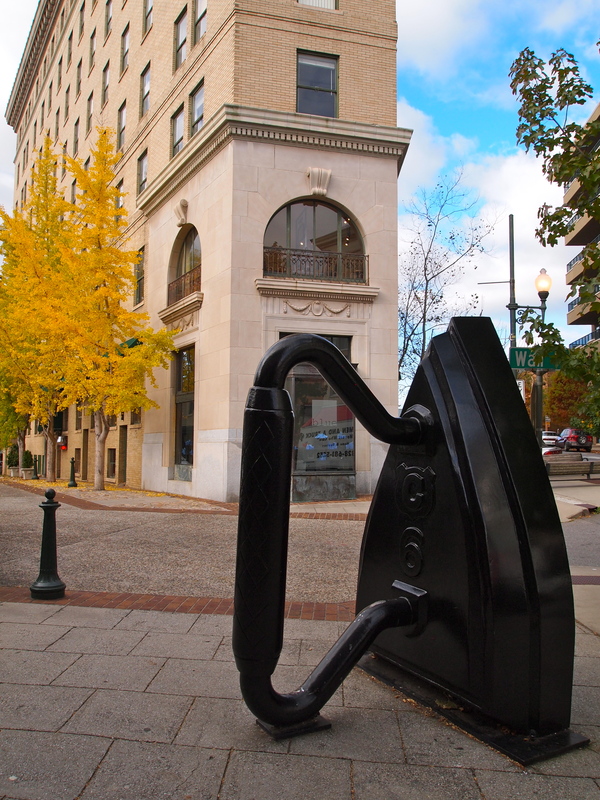 Armed with an Urban Trail/Public Art Map from the Visitor’s Center, I parked in the Wall Street lot (free for the first hour…75 cents ea additional) around 8:30am and set off to explore. These photos aren’t in chronological order. 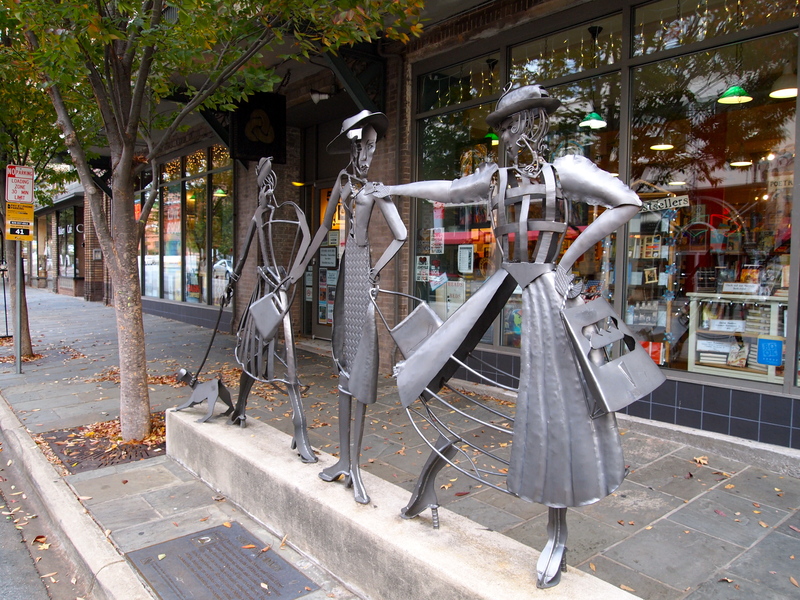 This sculpture on Haywood Street is called “Shopping Daze” and represents the time in history when Haywood Street was the region’s fashionable shopping district! This wasn’t on the map…but it’s quite eclectic! 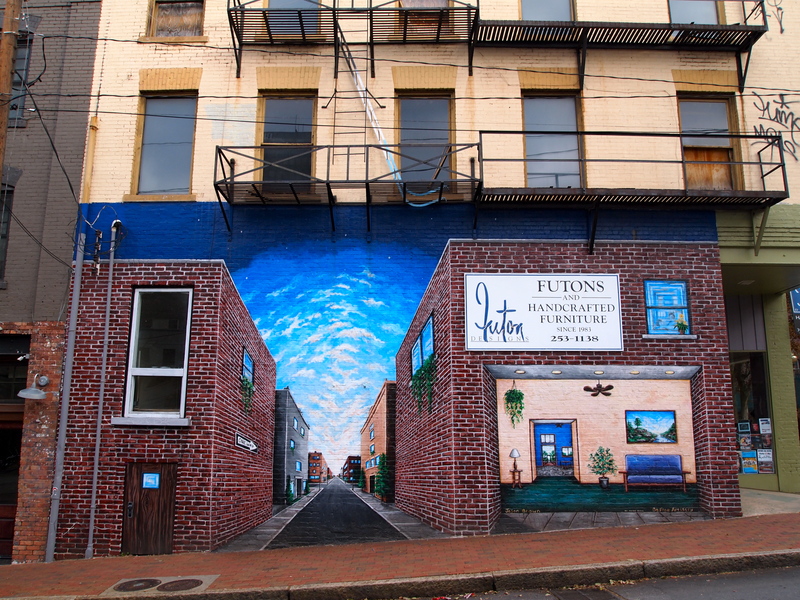 The following murals were also not on the map…but they’re lovely! 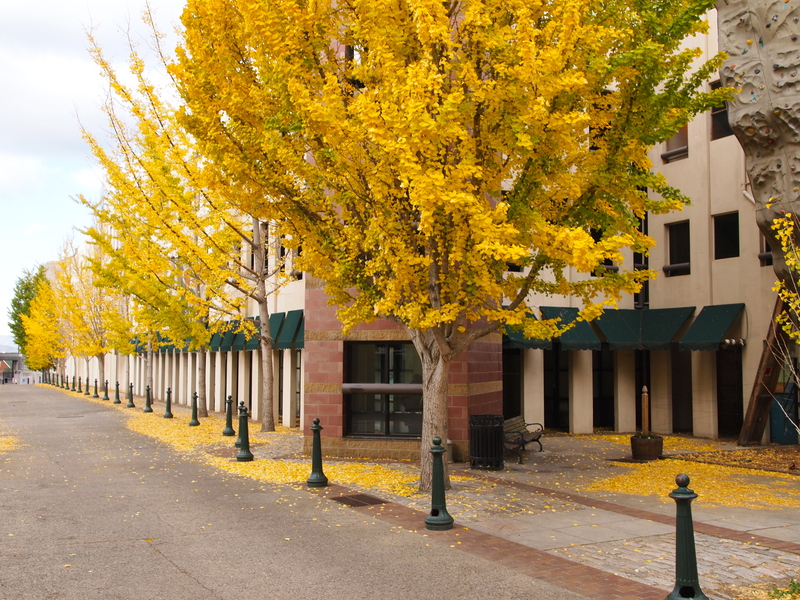 Last…but certainly not least…nature’s street art! 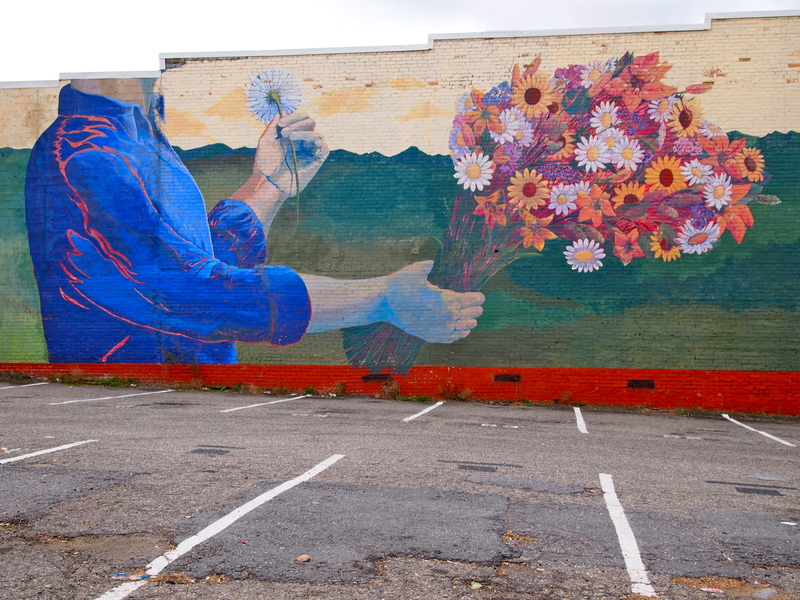 Asheville definitely has an artsy…hip vibe! 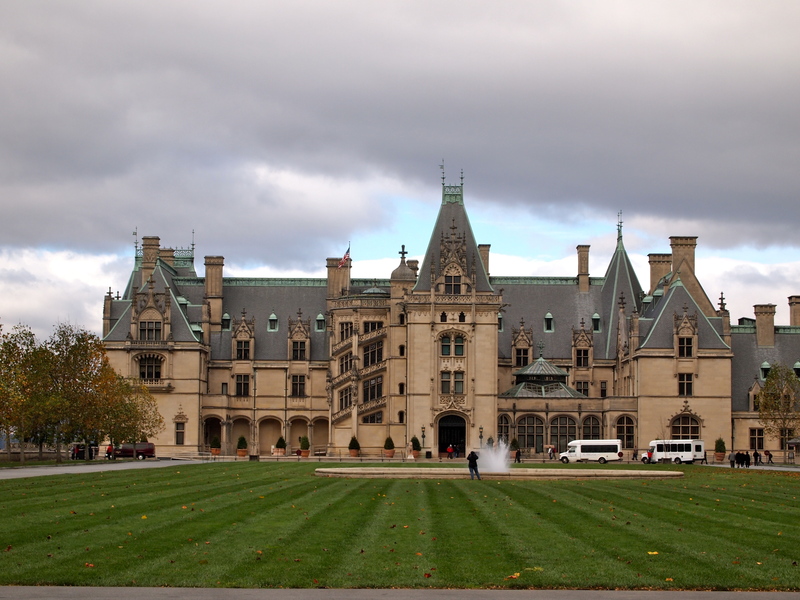 Tomorrow we’ll view some of Asheville’s amazing architecture! 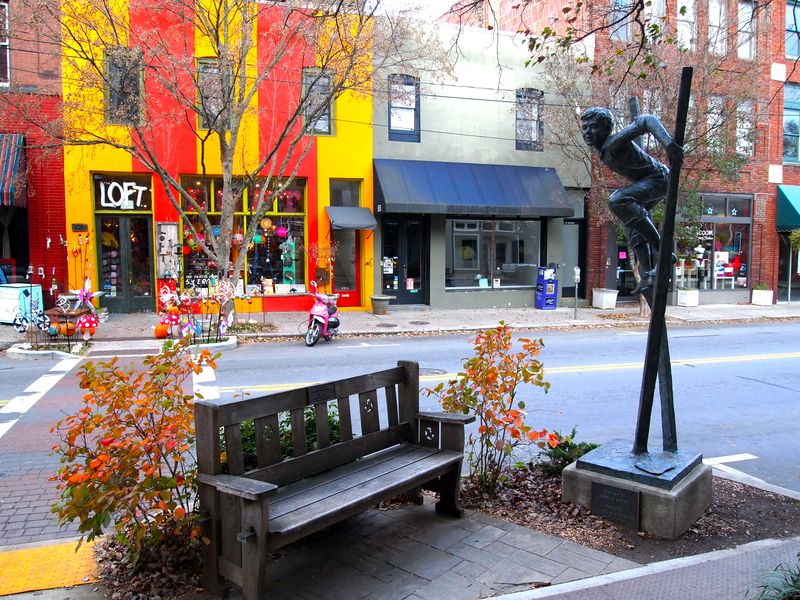 The River Arts District in Asheville, North Carolina reminds me a bit of the Pendleton Arts Center in my hometown of Cincinnati, Ohio. 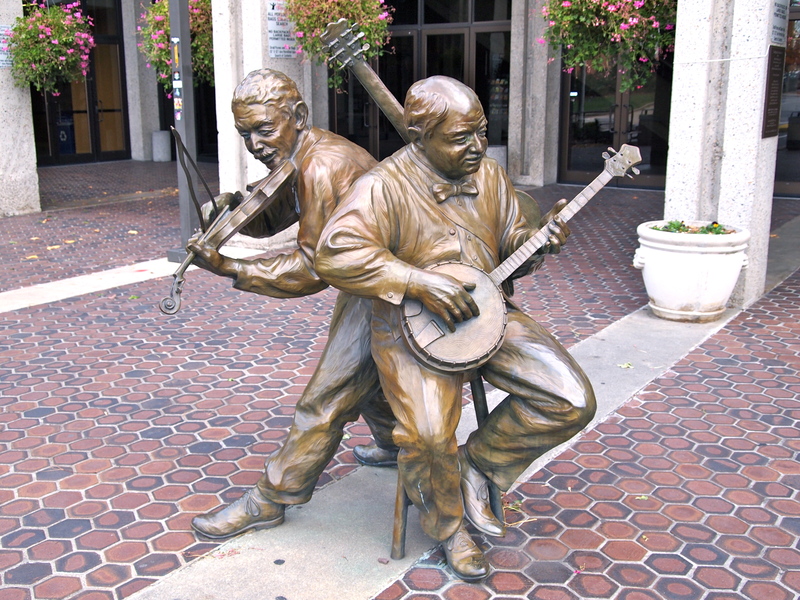 There are studios, galleries and restaurants located near Downtown Asheville, along the French Broad River. Many of them are in converted warehouses. 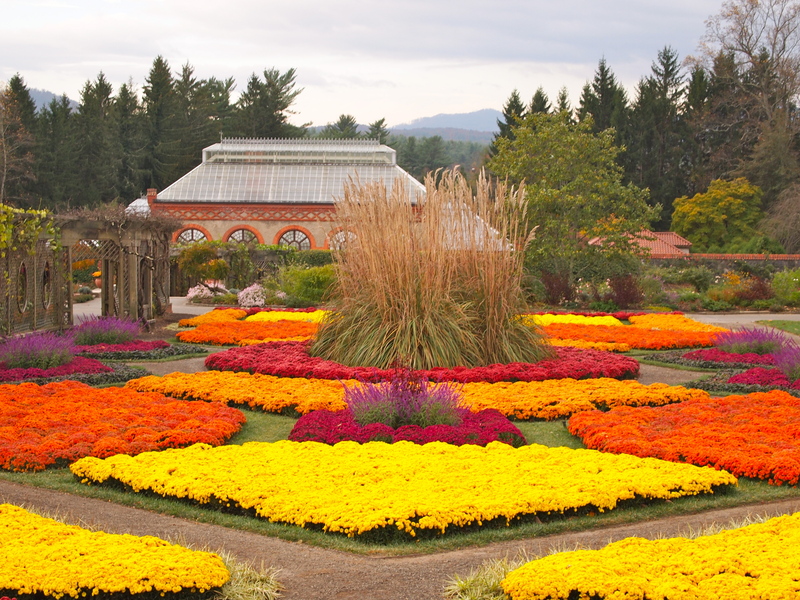 After visiting the Biltmore Estate yesterday, I stopped in this area to check it out. As I wandered through the buildings/studios, I would ask before I took photos. The artists seemed to appreciate that. If you’ve followed my blog for a while…you know I like fire escapes! Because I’m taking such a long trip…I’m trying to be smart with my money, so I’d like to try to eat out for lunch only. Lunch is less expensive than dinner when dining out. Yesterday, I ate lunch at the Clingman Cafe and enjoyed one of their special sandwiches. It was yummy! Then…for dinner it was a peanut butter and jelly sandwich. 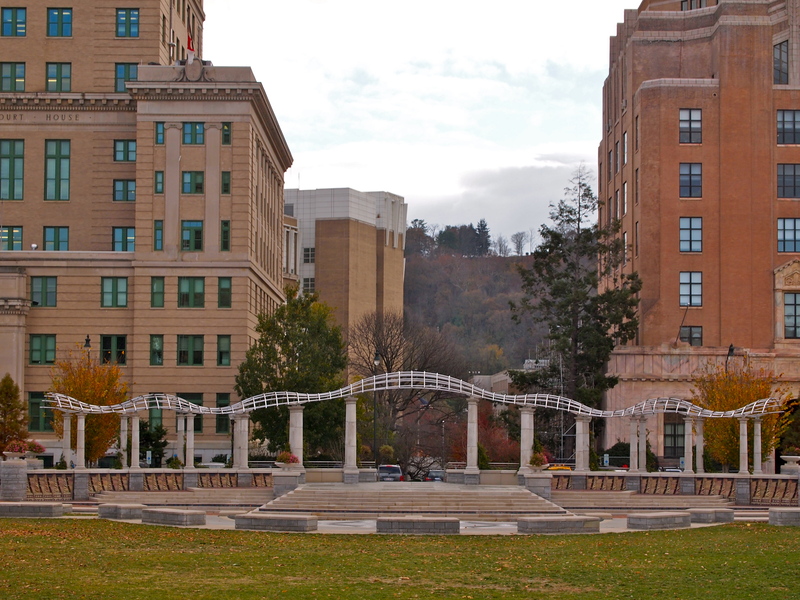 I stopped in Downtown Asheville to see the sights and take photos…but I’d only gotten a few streets over before my camera’s battery went dead…so that’s where I’ll head today. 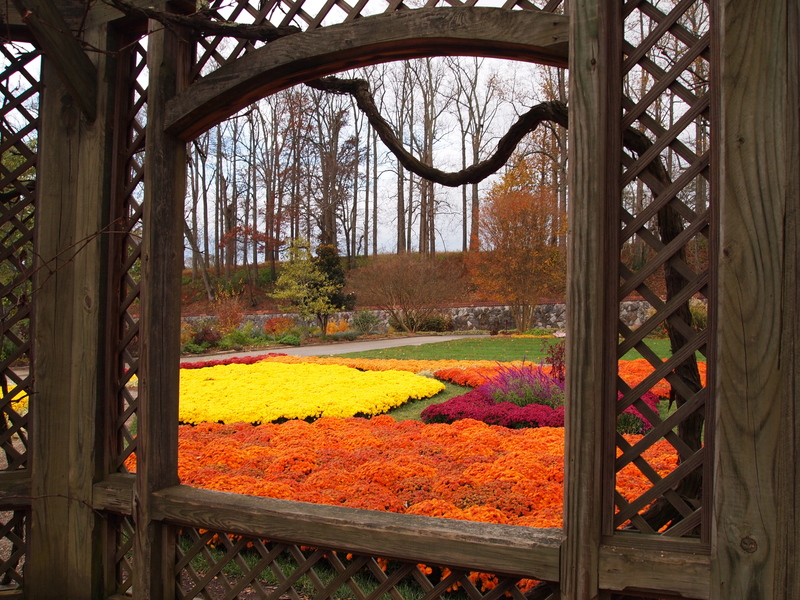 The Biltmore Estate and Gardens…Simply Gorgeous! 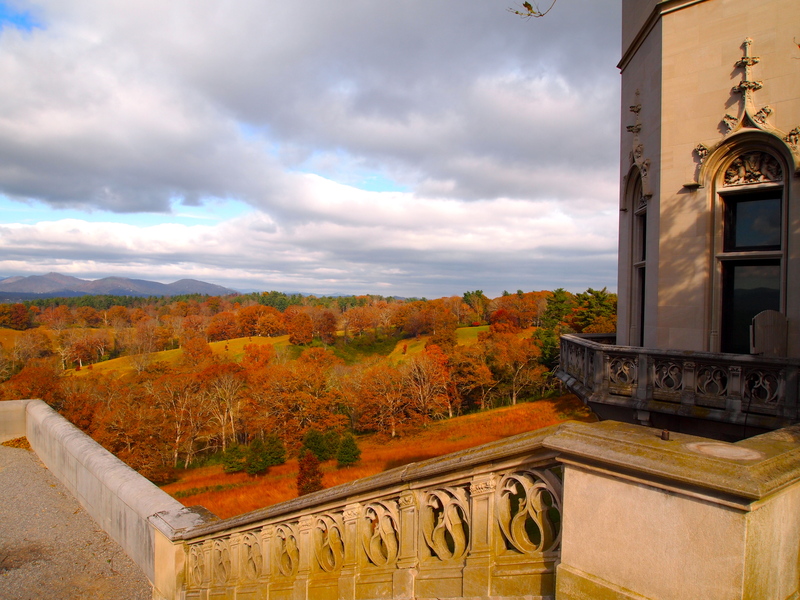 The Biltmore Estate in Ashville, North Carolina surpassed my expectations! 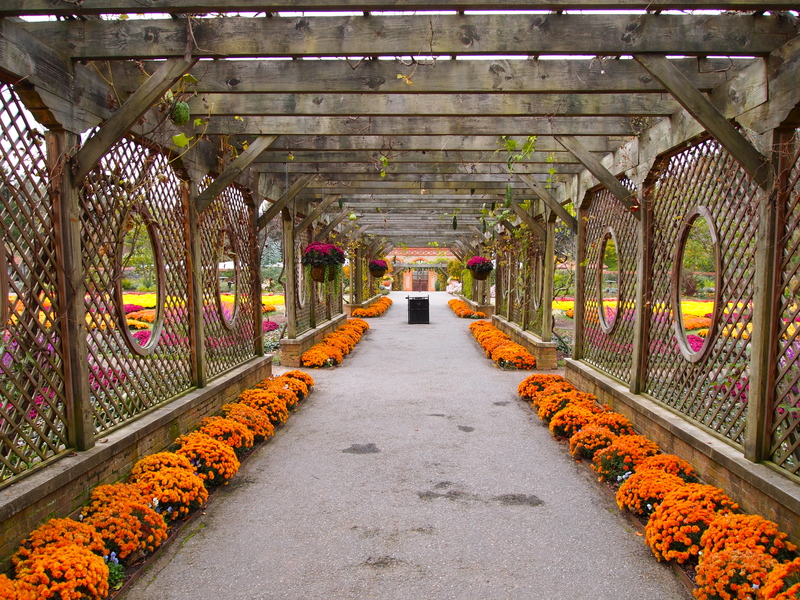 I arrived at 8:30am to take photos of the gardens before the sun was up too high. It was freezing out…but I was so excited…I forgot my gloves. 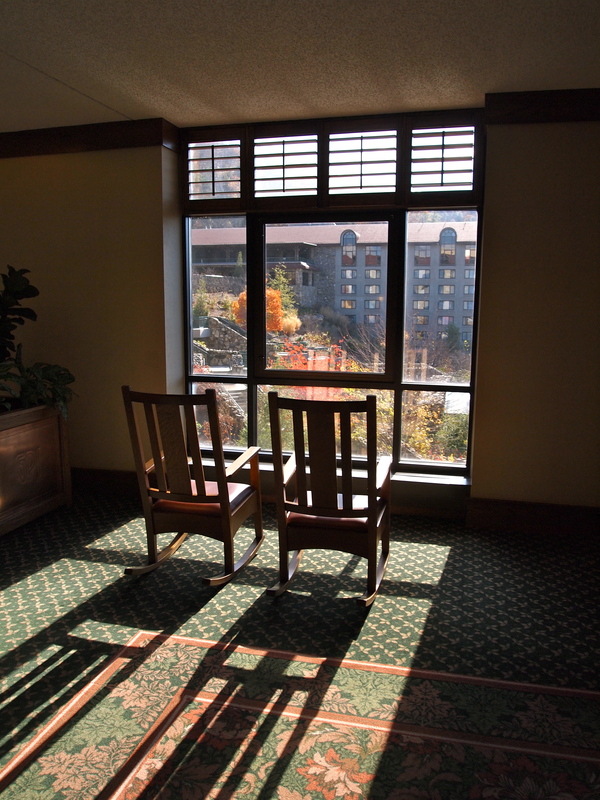 The estate is located on 8,000 acres and has 250 rooms! They employ 1800 employees! 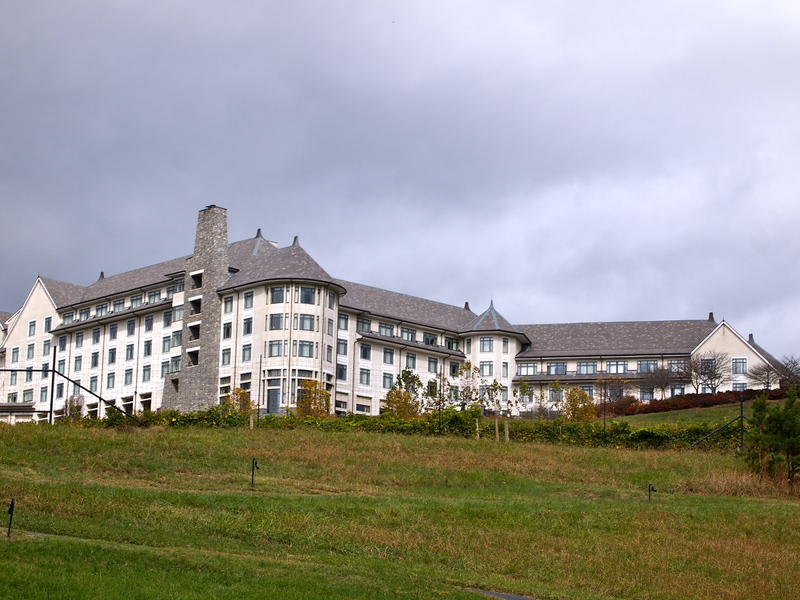 Some of the other offerings are–a winery, restaurants, a hotel and spa, and a variety of outdoor activities. 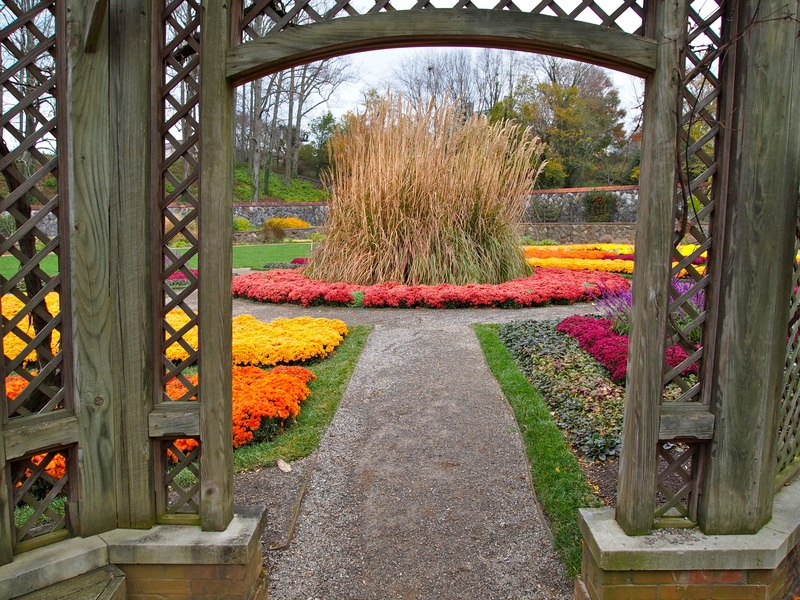 Walking through the gardens…snapping photos like a wild woman…I was amazed at the profusion of color! 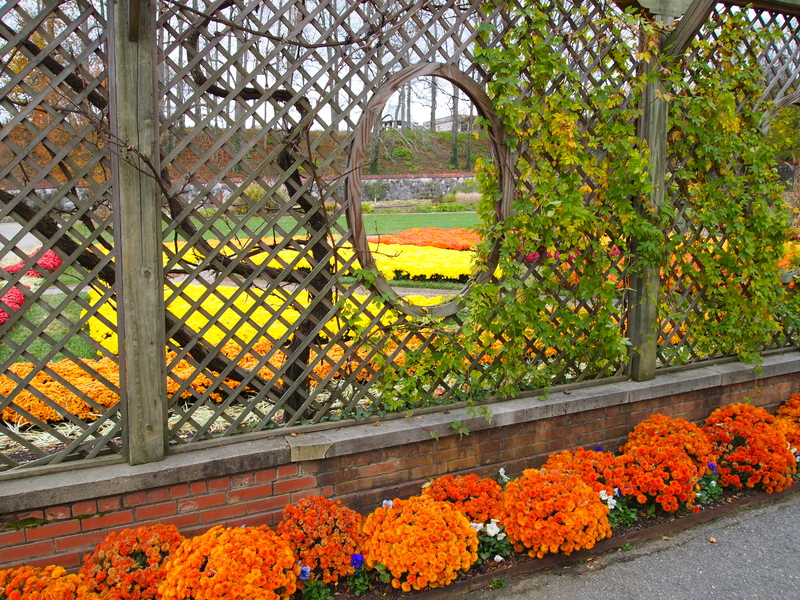 I had talked with a local the night before and she had said there wouldn’t be much to look at in the gardens…hah! Most of my photos don’t have any people in them. That’s another reason to get an early start! 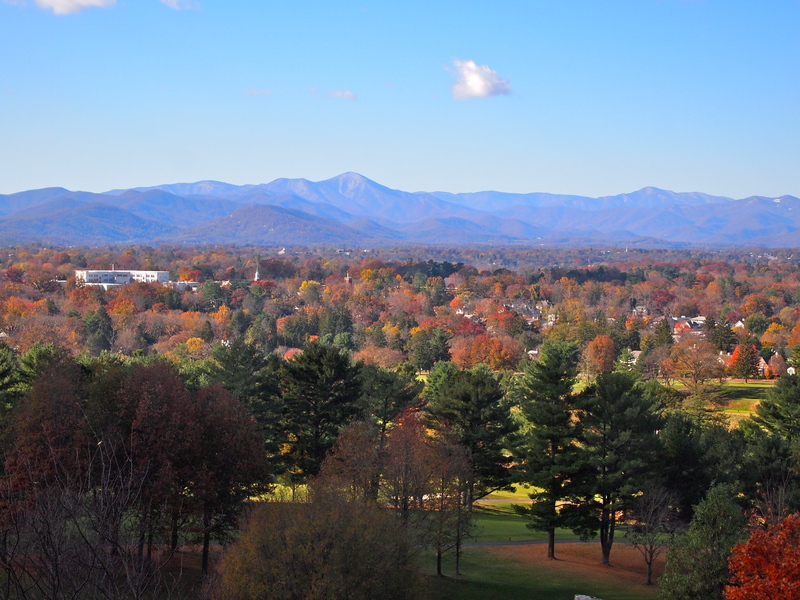 I arrived in Asheville yesterday and stopped at the Visitor’s Center to pick up maps and information. A representative from the Biltmore was there, so I bought a ticket for $49 ($10 less than at the door) and she talked me into purchasing a ticket for a self-guided audio tour that was $10 extra. It was worth it. Most likely I’ll never go back…too many new places to see! 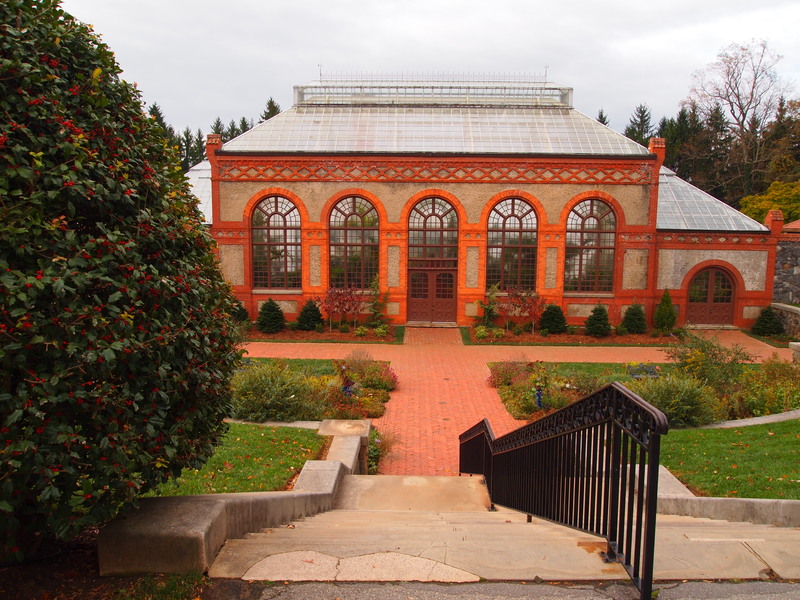 After touring the gardens and the “mansion” (where you’re not allowed to take photos), I hopped in my car and kept pulling over on the side of the road to get out and take photos. There were so many interesting paths and beautiful spots! Luckily, it wasn’t very crowded because of the weather the day before! I didn’t expect to see a waterfall!! 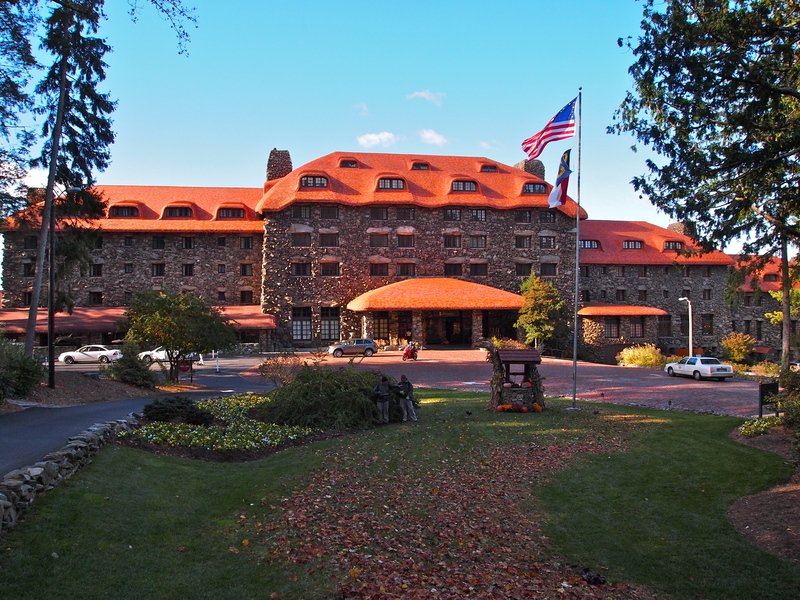 And finally…a back view of the hotel! I hope you enjoyed the tour as much as I did!